Comment on darkwickus's Super Mario Bros. 3 Box Art / Cover. So, when I say this is from scratch... well I mean just that! 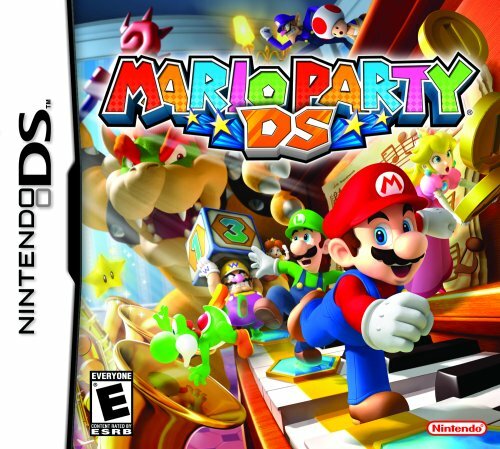 You might recognize Mario on the front there as the image from Mario Party DS, link but a little different. All of the characters have been re-rendered in Illustrator by me. Because of the length of time it took to do so, I've decided at the moment not to do the back. Maybe in the future. Hope you all enjoy! Not sure why it posted twice... my apologies. An admirable effort, making the art yourself and all. Come on guys, let's get this in the Hall. This guy often gets overlooked and he's one of the better artists of recent times. That's really impressive! Feel like sending me one of those toads in .ai format? #4, Completely agreed. The sheer creativity of his recent boxes is more than enough qualified for the HoF. Perhaps a better posting time? That or people just don't appreciate creative retro boxes anymore - which is sad really. This is very impressive. Even though you made it yourself, that's actually one of the better Mario renders I've seen. Well it's a box of the moment, that should help. Reed must have added a new feature. Box of the moment, eh? Oh my! I'm truly honored. I posted this right before I left to pick up my wife and BAM! ...all these posts. I thank you all very much for the kind words ans support. You all have put quite a smile on my face! #5: I sure can. I colored them in photoshop so the .ai is just the linework... send me a PM and we'll get that sent out. Dude...awesome effort on the art. It really captures the feel of the game. +fav! The art is fantastic. That alone gets my fave. We have some golden boxes on the front page right now. This including. Wow guys! I can't believe everyone is really into this. Thank you! I never expected to wake up and see 25 favorites so far! Many thanks ladies and sirs! Amazingly, this has become my "most favorited" box; and it's actually the only box I've done without a back! I'm glad that the reception on this one was this great. Thank you all again and I'm glad you enjoyed this one! Ah you have the instruction booklet, or am i wrong? I really must learn to read all the posts! Anyway, awesome work as usual mate, you blow me further and further away each time! Didnt realize how good this box was until full view, fav def. I missed this because it was shortly before I joined, but I sure am glad I found it. Excellent Illustrator skills on display here. This is the definition of a great boxart. Wow! Thanks guys for all the new comments and favs on this one! Gives me hope for a future masterwork! Who knows, I may finally get around to creating a back for this one. Cool! Did I just put iinto MW!? I think the font title is out of place, but despite that, it looks great. you made one of the best boxes on this site! Exec: 0.14254999 © 2004-2016 VGBoxArt.com. All rights reserved. Crafted in San Francisco by Reed.